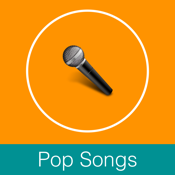 Pop Songs, is hand-selected by pop music enthusiasts from all corners of the globe. Find your favorite styles including from popular music Rock n Roll, Folk, Art pop, Bubblegum pop, Christian pop, Dance-pop, Electropop, Europop, J-pop, K-pop, Latin pop, Operatic pop, Progressive pop, Sophisti-pop, Synthpop, Space age pop, Sunshine pop, Teen pop, Baroque pop, Country pop, Disco Experimental pop, Indie pop, Jangle pop, New wave, Pop punk, Pop-rap, Pop rock, Power pop, Psychedelic pop, Smooth jazz, Urban pop, Wonky pop, and many more within the intuitive new layout. Pop Songs App makes it easier than ever to find live broadcasts.